Do you ever imagine each ray of sun that hits at your rooftop could actually mean big money? With the power of solar energy unleashed, it is now known that it is not only sustainable and renewable,but also an important way to generate electricity and reduce carbon footprint. Solar energy is a silent and non-polluting source of power generation. Electricity costs are skyrocketing and energy prices are soaring. It is about time that we use alternative greener sources to meet the energy demands. Solar panels can be great financial investment and also a fantastic approach to a clean and green environment. There are many retailers and wholesalers supplying solar panels that suits the customer’s energy needs. Special discounts, schemes and offers are regularly published and advertised and the customers can keep avail those solar deals. Besides the special offers from the retailers, the government too runs various incentive schemes such as solar rebate for people who install solar panels. One can avail discounts and guarantees on installation services and components. Feed-in-Tariffs (FiT) and small-scale technology certificates (STCs) are solar incentives that can really help in paying off the solar systems. To be eligible for Incentive payments, your solar panels and installers need to be accredited. Conventional electricity is generated from finite resource- fossil fuels such as natural gas and coal. Fossil fuels emit toxic gases when burnt. This is one of the causes of global warming and environmental pollution. Limited availability of the finite resources results in a volatile market where energy prices can soar high in a short span of time. 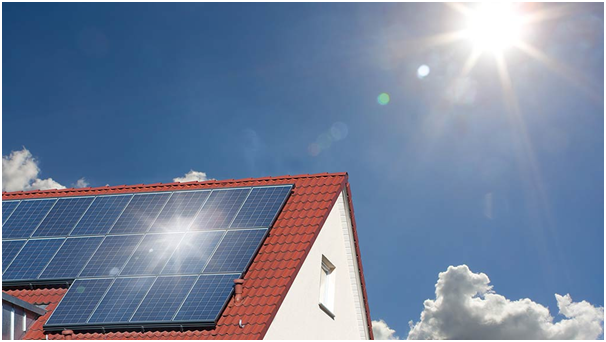 Solar panels are comprised of many smaller units called photovoltaic (PV) cells that are made from silicon and convert sunlight into electricity. The electricity generated by the solar cells is direct current (DC)and therefore it is sent to an inverter that converts it into alternating current (AC) used by various appliances at home and the local electricity grid and other devices. Each cell is capable of generating a few volts of electricity and when combined on a panel, they produce a lot of energy to generate more electric current and voltage. Simply put, when the sunlight falls on a solar cell, its energy blasts the electrons out of the silicon. This movement of electrons generates an electric circuit and is capable of powering anything that needs electricity to run. To get most out of the solar panels, they should be installedat the shade-free locationwhere they can receive maximum sun exposure. They should be tilted at an angle (depending on the location latitude)towards the sun. The initial installation of solar panels may look expensive but in the long run, investing on these can be quite cost and energy efficient. You are much less affected by the rising power charges and outages. The monthly electricity costs are significantly reduced. Solar panels may add value to your asset. Operation and maintenance expenses for PV panels are almost negligible. And of course the government incentives make them an attractive investment source. It may sound strange, but solar power harnessing and energy production creates jobs. Solar jobs include research, design, development, and manufacturing, installing and maintaining solar panels, and policy jobs, among others. The biggest disadvantage of using solar energy is that there must be sunlight. So at night energy has to be either stored or sourced from elsewhere. Low efficiency may also be a concern but with the advent of advanced technologies and innovative solar power ideas, the efficiency rates have and will continue to gone up. The panels usually comewith a warranty for 20 years or sometimes even more. Solar energy could be a great boon in remote locations which have limited or no access to power lines. 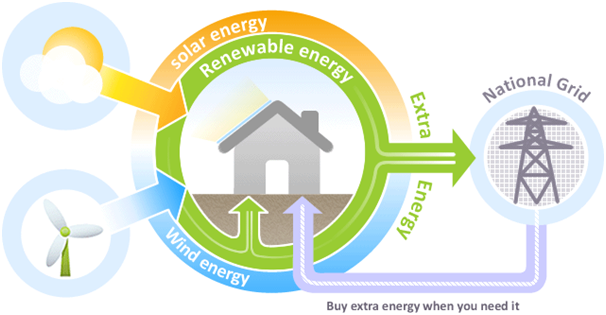 With the increasing environmental concerns, green energy offers a clean and eco-friendly solution. Efficient solar panel systems can clearly be one of the most practical solutions to the existing global warming crisis. It is important to consult with your panel installer to select and custom design it depending on the home/office architecture and energy requirements and your home improvement requirements. You must understand the maintenance requirements of the panel and inverter before committing to installing a solar system.